Morgan Daniels (Bury St Edmunds, England) asks about the authenticity of the Fischer remark (mentioned in C.N. 3343) that Capablanca was possibly the greatest player in the entire history of chess. Fischer made this comment in an interview with Román Torán during the 1960 Olympiad in Leipzig, and we quoted it on page 307 of our book on Capablanca, specifying as the source page 648 of Ajedrez Español, July 1961. The same sentiments, although with a slightly different Spanish wording of the interview, appeared on page 32 of “Bobby” Fischer su vida y partidas by Pablo Morán (Barcelona, 1971). 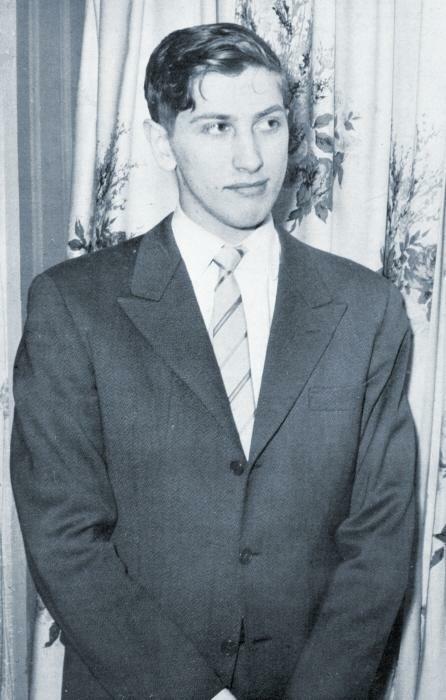 ‘Fischer: Before the  Interzonal I was invited by the USSR Chess Federation to visit Moscow, and I played some interesting training games there with notable young stars like Vasiukov, who was then champion of Moscow. Yes, the trip was very useful. Torán: They clearly like you, don’t they? Fischer: They recognize who’s going to beat them. Torán: What does a young Grandmaster do on a normal day, when he’s not playing in a tournament? Torán: Does that mean just chess? Fischer: No, of course not. It means I don’t do anything special. I like reading, listening to the radio, good movies. Torán: Have you given up school? Fischer: Of course. It’s a waste of time for me. I want to be world chess champion, and they can’t teach me anything there. Torán: How many hours do you devote to chess? Fischer: It depends. Many days I spend quite a few hours. But other times I don’t even look at the board. Torán: What is chess for you? Fischer: A challenge. Each game is a new challenge which has to be overcome. Torán: Who has been the best player of all time? Fischer: It’s difficult to say. Botvinnik and Tal are among the best; I also like Spassky, but I think Petrosian is better than all of them. His weakness is too many draws, even against players he could beat easily. Maybe he lacks self-confidence. Torán: But you never lack self-confidence, do you? Fischer: No, never. I want to become world champion. Torán: What do you think of Reshevsky, your great rival? Fischer: He’s a good player. He knows the openings better now than in his more brilliant period, but his game is less strong. Maybe he has some complex with me. Torán: How do you regard the international scene? Fischer: The Russians have a great advantage. They’re real professionals and are subsidized by their Federation. Players from other countries have to win to make a living, or work in some other activity. That’s a difficult handicap to overcome. Torán: Do you like the rules for FIDE tournaments for the world championship? Fischer: The chess played in them isn’t good because the players hoping to qualify concentrate on making draws with each other and only beating weak opponents. Also, the prizes get worse each time. That’s certainly because FIDE knows we’re going to play in any case. Even so, the system isn’t bad and it has prevented those unpleasant situations in the olden days when the champion practically picked the challenger. Torán: Do you think you will soon win the world title? Fischer: I have excellent chances. None of the champions was a Grandmaster at my age. Maybe in 1963. Torán: As soon as that?